Discussion in 'Archive' started by Artchem, Dec 26, 2018. Hello, everybody! New Year is coming! Do you feel the holiday spirit? Purchase Restriction: up to 1 per account. 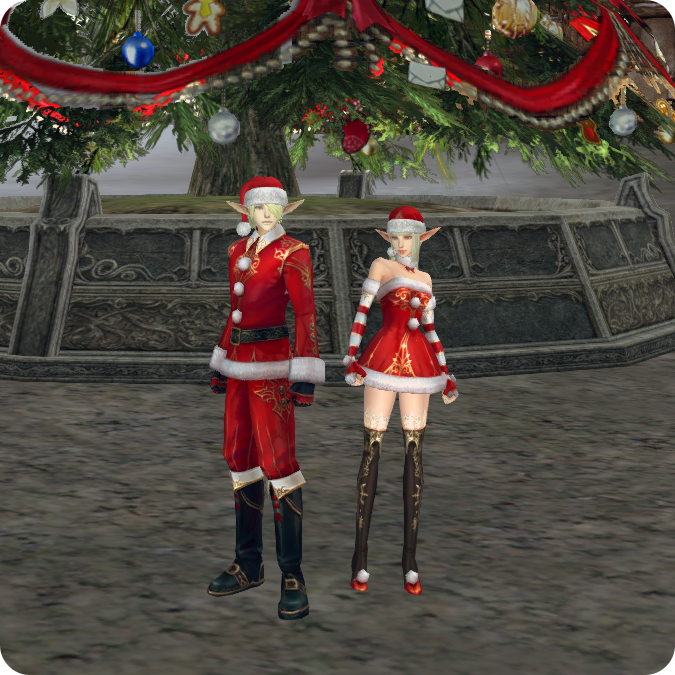 Double-click to obtain Christmas Amulet (15 d.). The box cannot be dropped. Amulet is 15-day item. Acquired XP/ SP through hunting/ fishing +20%. Cannot be exchanged, dropped, or sold. Can be stored in a private warehouse. 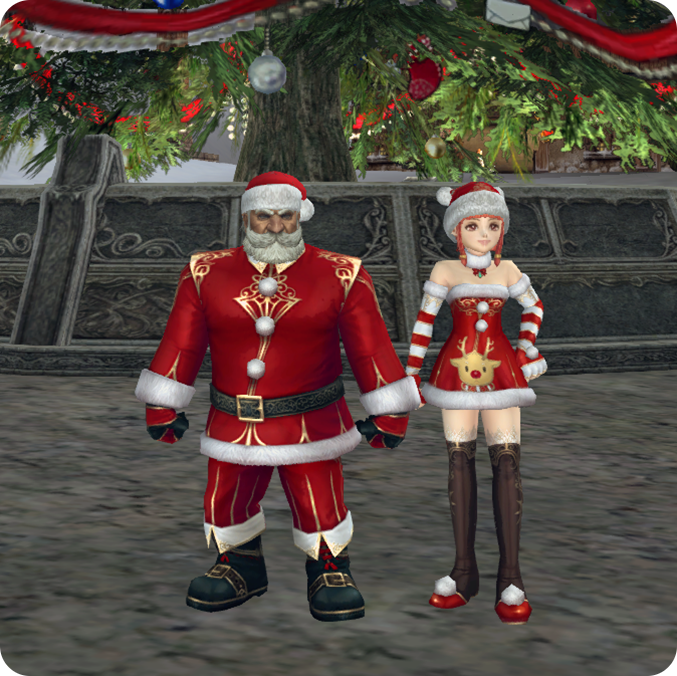 Christmas Amulet Box will be deleted during the maintenance on Wednesday, January 23rd. 1 pc. 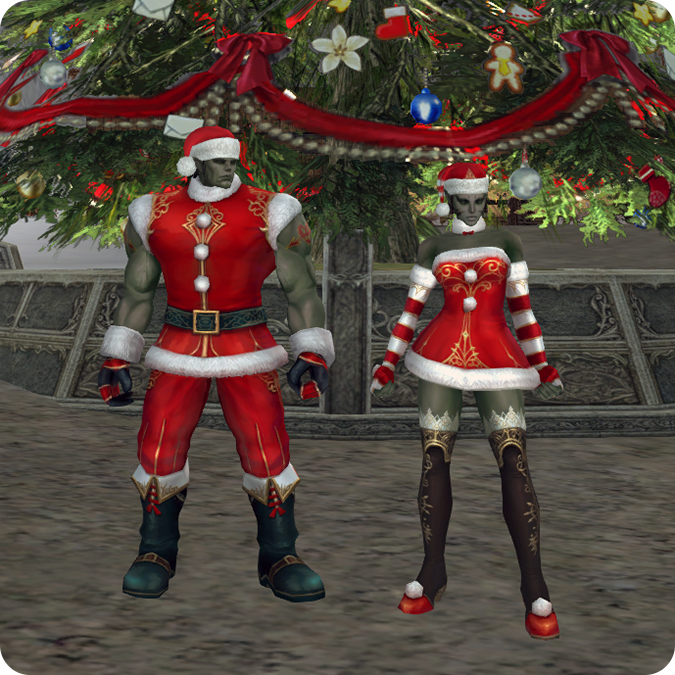 Double-click to obtain Santa Hat (14 d.) and Rudolph's Red Nose (14 d.). Can be exchanged / dropped / sold. Cannot be shared within account. Cannot be used together with Scroll of Mood Melody. Cannot be exchanged, dropped or sold. Can be stored in a private warehouse. 5 pc. For 20 min., acquired XP/SP ++10%, P./ M. Atk. +10%, P./ M. Def. +5%, Max. HP/ MP/ CP ++15%, HP/ MP Recovery +20%, PvE damage ++10%. With a certain chance, converts 3% of damage dealt into HP. Can be used with Special Pirate Fruit. Cannot be exchanged, dropped, used in a private store, sold or shared within account. 3 pc. Makes you armor look like Red Zubei one. P./ M. Atk. +2%, P./ M. Def. +2%, Atk. Spd. +3%, Max. HP/ MP +5%, Speed +4, P./ M. Accuracy +1, M. Critical Rate +10. Cannot be exchanged, dropped or sold, shared within account. Can be stored in a private warehouse. 30 pc. For 20 min., acquired XP/SP ++10%, P./ M. Atk. +10%, P./ M. Def. +5%, Max. HP/ MP/ CP ++15%, HP/ MP Recovery +20%, PvE damage ++10%. 20 pc. Makes you armor look like Red Zubei one. 1 pc. Santa's Hat. Uses 2 hair accessory slots. Cannot be exchanged, dropped or sold, shared within account. 1 pc. Santa's Suit. Replaces the character's equipped armor. 1 pc. 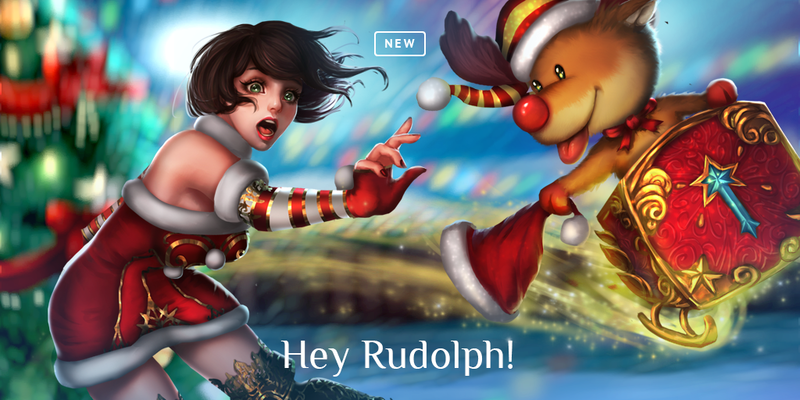 Double-click to obtain Agathion Rudolph (30-day). Cannot be dropped. Can be shared within account through Dimensional Merchant. 60 pc. For 20 min., acquired XP/SP ++10%, P./ M. Atk. +10%, P./ M. Def. +5%, Max. HP/ MP/ CP ++15%, HP/ MP Recovery +20%, PvE damage ++10%. 40 pc. Makes you armor look like Blue Dynasty one. P./ M. Atk. +3%, P./ M. Def. +3%, Atk. Spd. +5%, Max. HP/ MP +7%, Speed +5, P./ M. Accuracy +2, M. Critical Rate +20. 40 pc. For 10 min. activates Chant of Victory Lv. 1. Cannot be dropped. Cannot be stacked with Prophecy-type buffs. Effect remains after death. And that's not all! 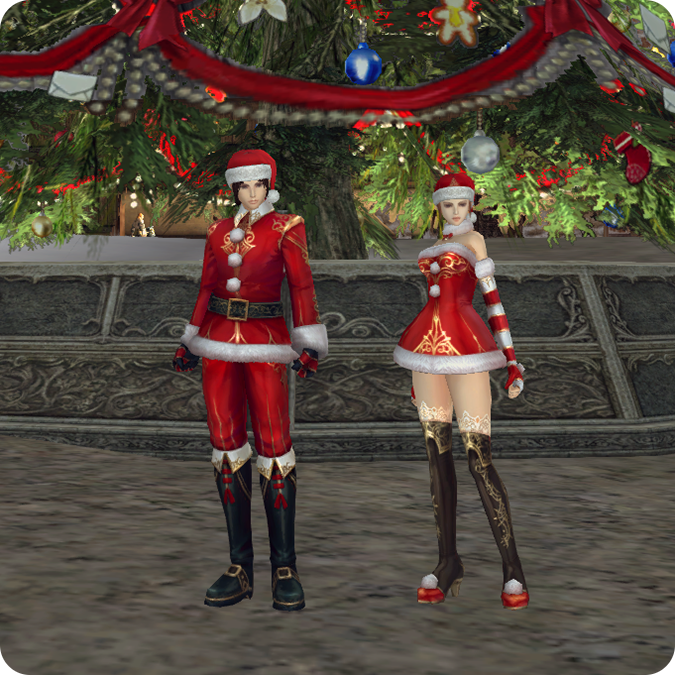 Also, you can find "New Year 3-month Subscription Kit" and "New Year 6-month Subscription Kit"! Double-click the package to get Refined Romantic Chapeau: Yellow (33-day). 1. 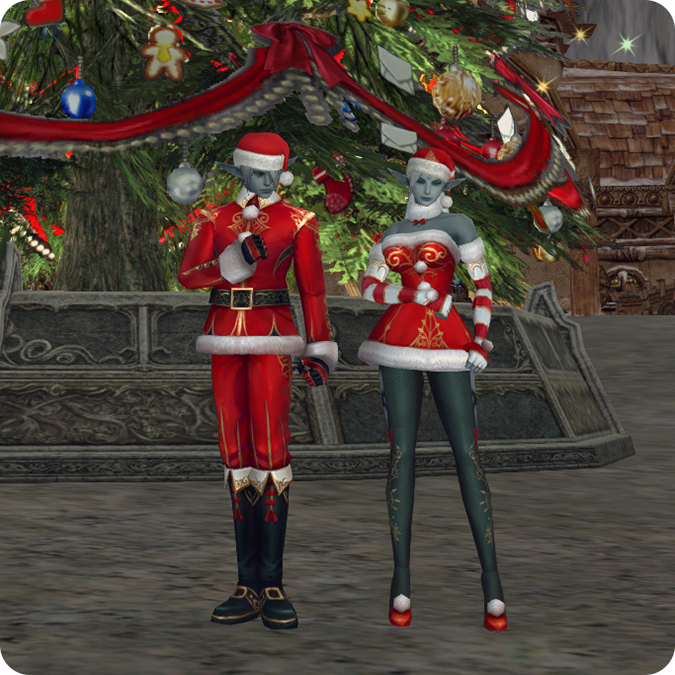 Holiday Hat: resurrects dead characters recovering 100% XP using 1 Spirit Ore. Cooldown: 6 hours. 2. 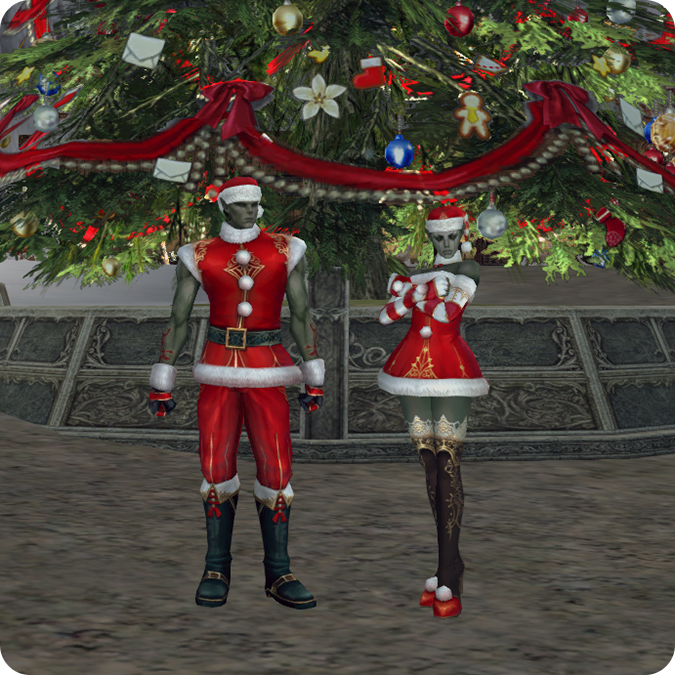 Overwhelming Power of a Holiday Hat: for 60 min., acquired XP and SP +5%. Buff effects remain after death. Cooldown: 1 hour. 3. Side Effect: makes character's head bigger for 10 min. Cooldown: 30 min. Cannot be exchanged, dropped, or sold. 15 pc. XP/SP gain +50% for 2 hours. Reuse Time: 2 hours. The effects Effect remains after death. Cannot be exchanged, dropped, or sold in a private store. Can be stored in a private warehouse. Can be shared within account through Dimensional Merchant. 1 pc. Double-click the package to get Refined Romantic Chapeau: Gold (100-day). Double-click to obtain 1 Hero's XP Amulet Pack (30-day). When in inventory, Acquired XP/ SP +20%. XP/SP gain +50% for 2 hours. Reuse Time: 2 hours. The effects Effect remains after death. Can items be used at the same time with other exp bonuses? Check the detailed table. KSERW, enereS and Constance9 like this.